The Cypher 5 has the same strength as aluminum, but is 25% lighter. This sight can take on anything you put in its way. Ballistix coating is soft to the touch and adds a layer of noise dampening. 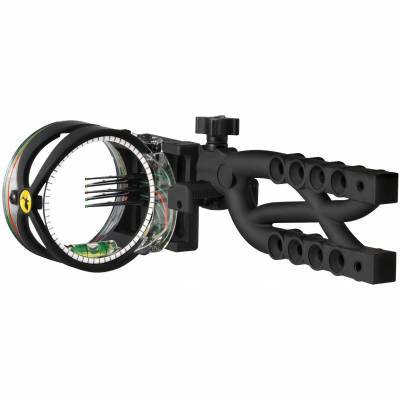 Reversible Sight Mount -Designed for use with left or right hand bows and high or low anchor points.